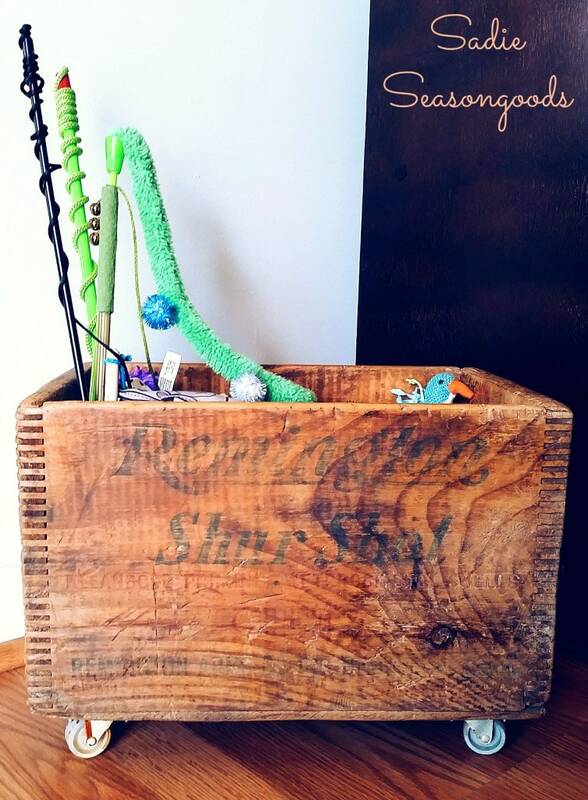 Anytime I am out and about at a flea market, antique store or thrift store I can’t help but be instantly drawn to any and all vintage wooden crates. 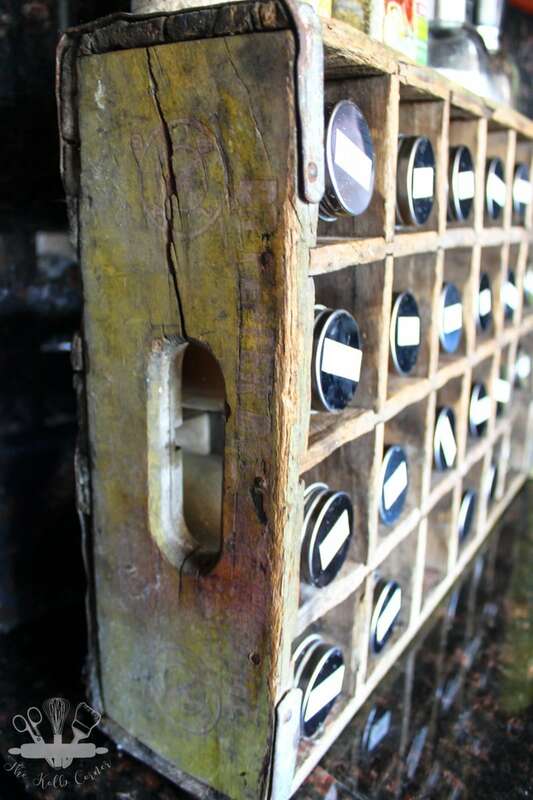 We are talking old soda bottle crates, vintage cheese boxes, old wine crates–any of them. I love the smell of old wood. Is that weird to know? Because it was weird to write. Even though I may be instantly attracted to them, I have to hold myself in check because I already have OCD tendencies and like to collect hoard many different items. 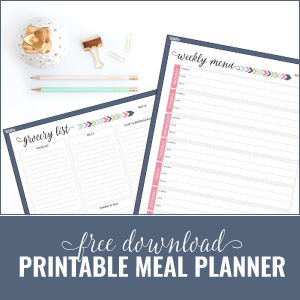 We’re talking things like washi tape, old worn books, pens and markers, cardboard boxes, old whiskey and bourbon bottles, and Happy Planner accessories (just to name a few). It’s a real problem and I am always reminded just how much I collect when it comes time to Spring clean or move (considering we have moved every 2-3 years). But enough about my hoarding problem, let’s move on to something more fun shall we. 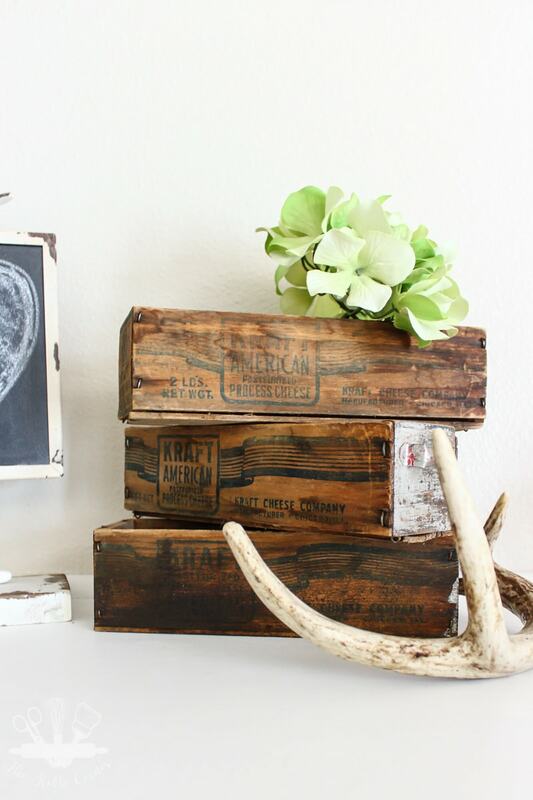 Let’s talk about how many different ways there are to decorate with vintage wooden crates. Since I have collected a few of them in my life time, I have a few different ideas to show you. 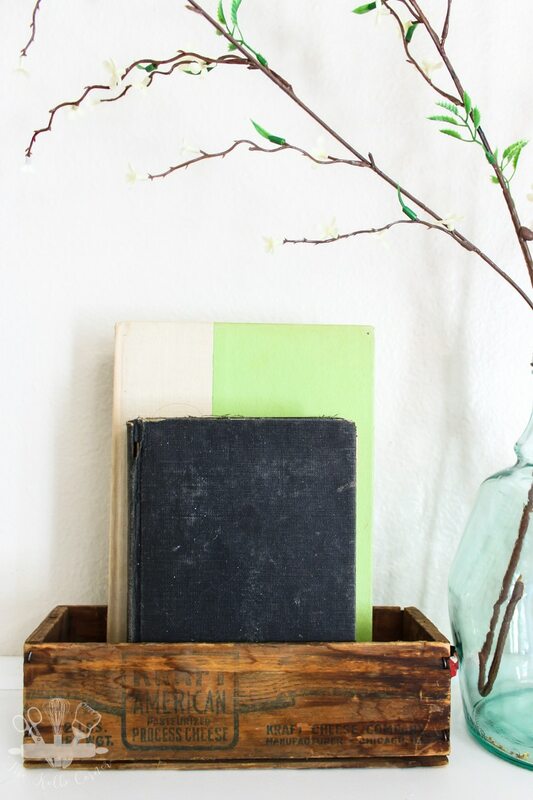 Plus I’ve also rounded up a couple of pretty awesome DIY projects to upcycle those vintage crates into something practical and beautiful to decorate with. 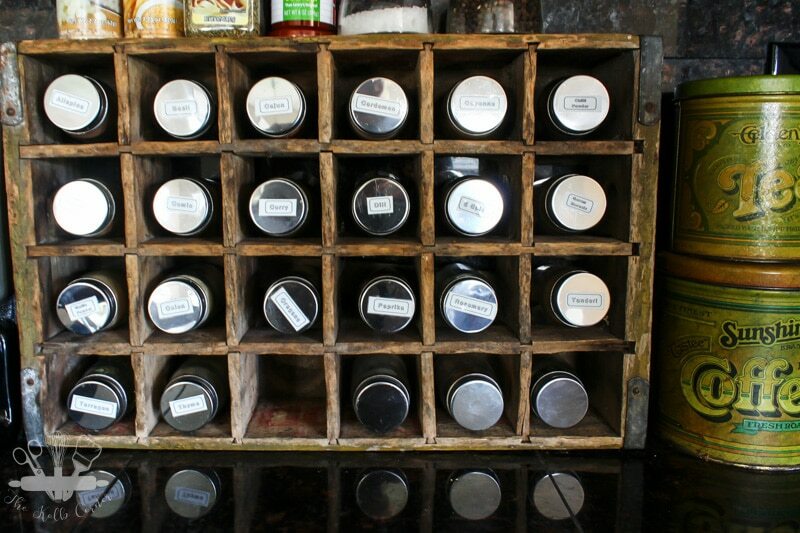 The first project I ever did, waaaaaaaay back before this blog was even a glimmer in my eye was to turn a vintage Dr. Pepper soda crate into a spice rack. This spice rack used to hang proudly by our stove in our first house, but since moving (twice now) I haven’t hung it up again. I actually kind of like it sitting on the counter as it’s more accessible and adds a decorative touch to my kitchen. 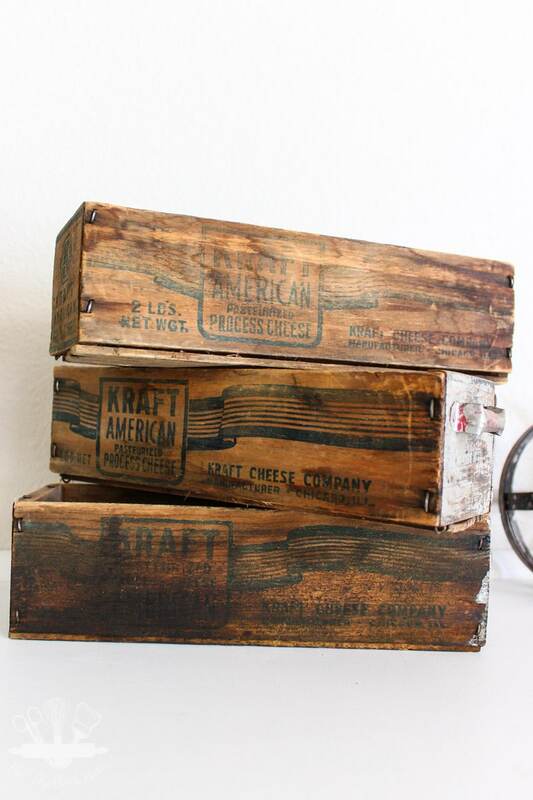 Recently on a trip to visit my friend in Dallas, I picked up 3 vintage Kraft Cheese wooden boxes. They are pretty small, but I love the look they give my faux built in bookshelves in the living room. There are so many possibilities when it comes to decorating with these. 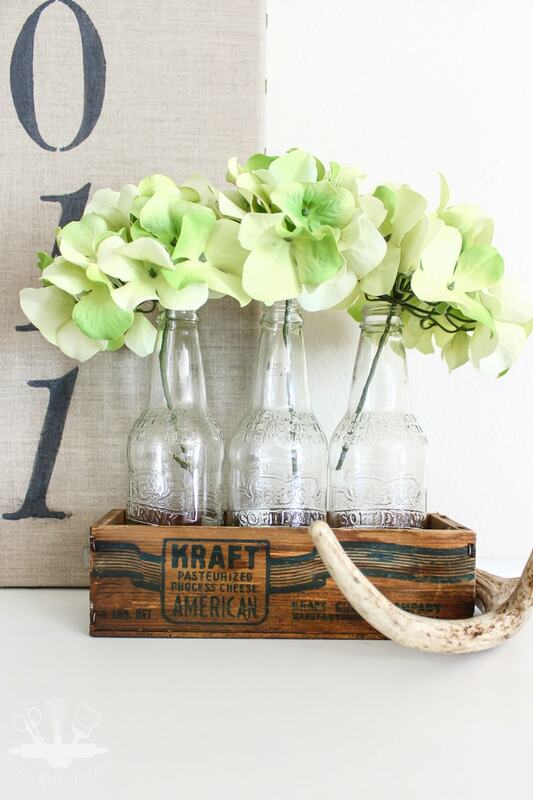 One option is to put a few old bottles with some dried or fake (or fresh) flowers inside them for a little bit of height. You can also just haphazardly stack them up together. 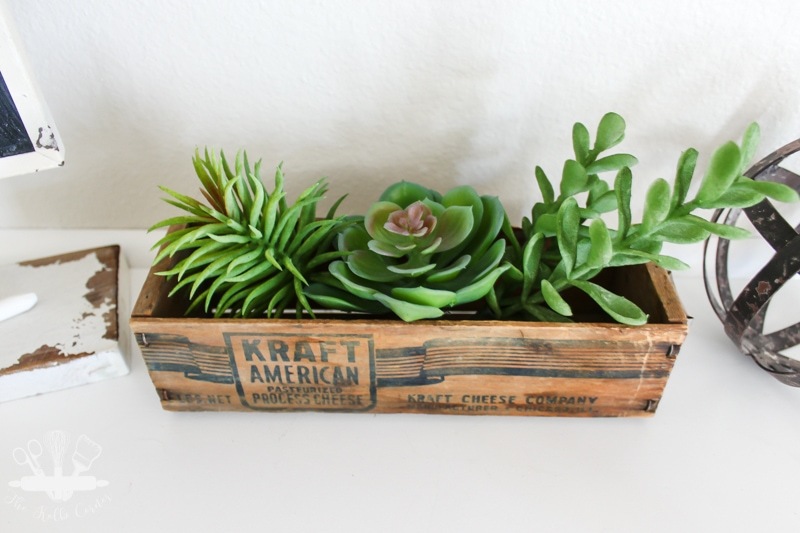 My favorite way to use these wooden crates though is to fill them with faux succulents. Yet another item you can add to my list of hoards. This box was my favorite out of the bunch because it was the only one that had this chippy white paint on the sides. I don’t know what it was in it’s past life, but I am in love with it now. 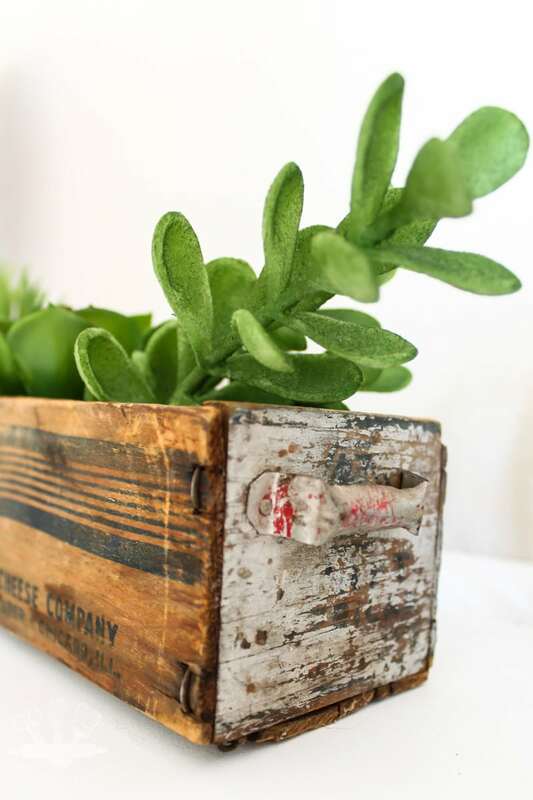 And just in case you need some other ideas for using those vintage wooden crates, here are a few projects to keep in mind if you want to turn them into something practical and decorative. Nope, you’re not weird – I love the smell of old wood too 🙂 Mmmm. 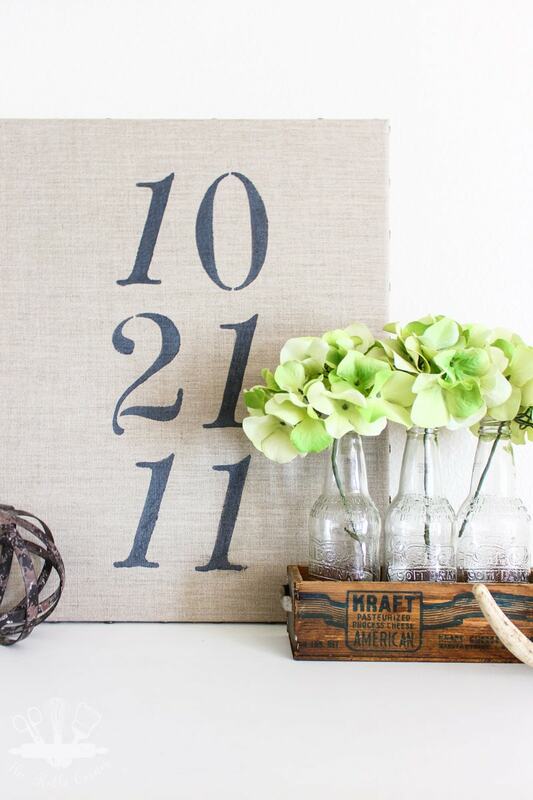 Great photos and ideas for decor! I especially loved the box with the succulents. There is something about it that I just love! Thank you for stopping by Liz! Have a great weekend. 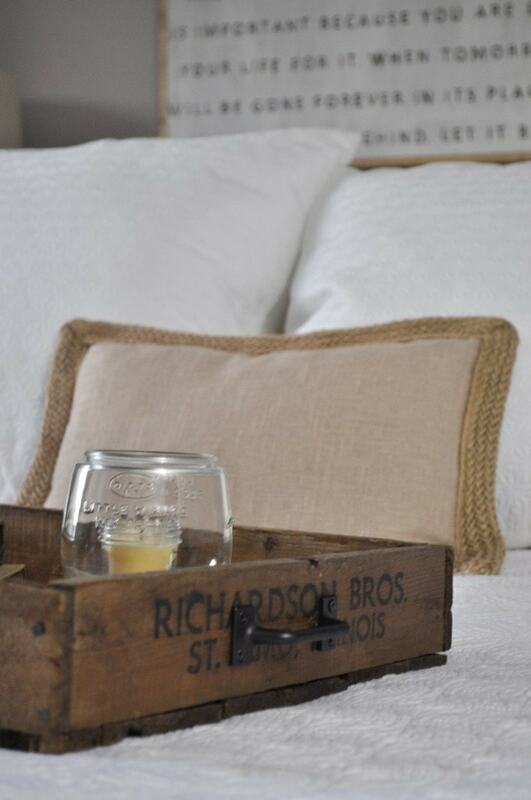 I love the idea of putting wheels on a large wooden crate and using it as a storage bin. It would be cool to have a few of those lined up in the playroom. Do you treat the wood at all or just leave it as is? I might need to start collecting crates now! 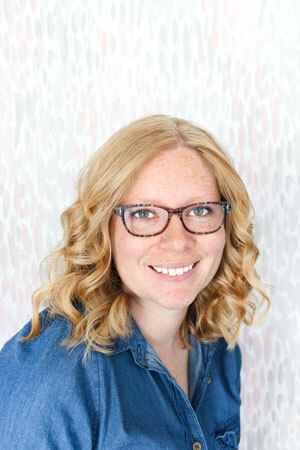 Hi April! With the Kraft cheese boxes I used I didn’t do anything special to the wood, just cleaned them up a bit. For my spice rack I did use one coat of a satin polyurethane just because it sits next to the stove and is exposed to high heat. Plus with it being old, and being painted at one time I do worry about lead paint. 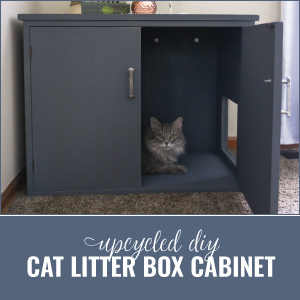 If you are planning to use the crate as a storage piece, protecting it with a poly coat would be a good idea so that it doesn’t get banged up after a few uses. Hope that helps! I love the way you used your old crate for spices in the kitchen. Those cheese crates were a great find! 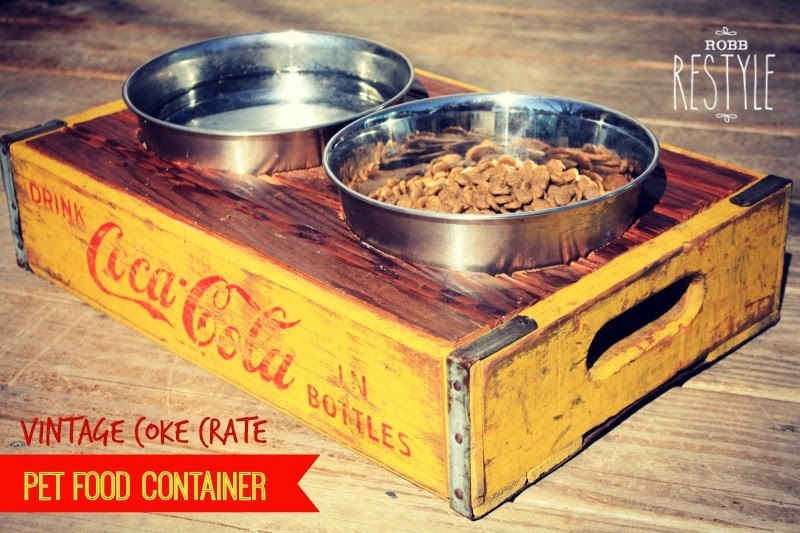 I have an old coke crate in our storage building, now I have some ideas of how to use it. I love my spice rack! No more spices lying around unorganized on the counter or falling out of cabinets! Thank you for stopping by Shirley! 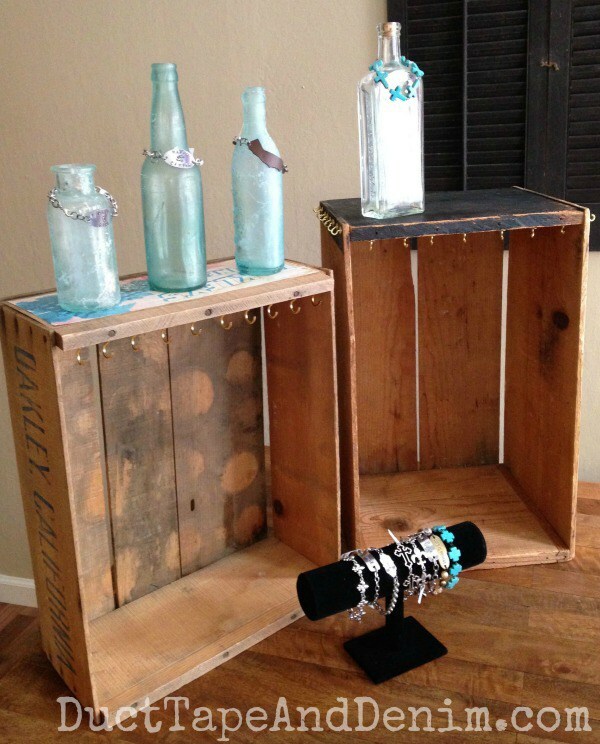 This is some really creative ways to use wooden crates. 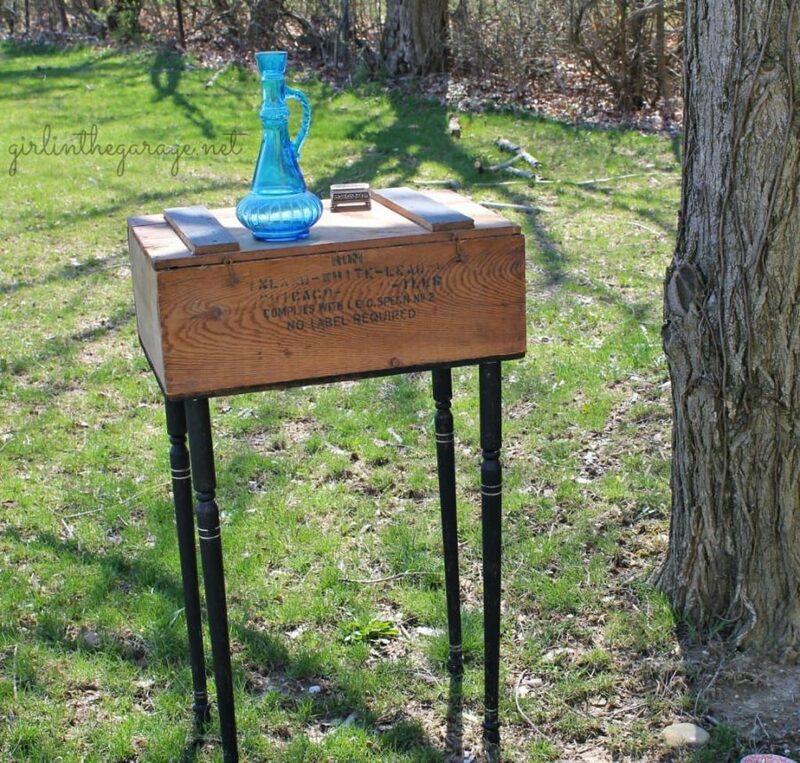 I love the idea of using one to make a bedside table. 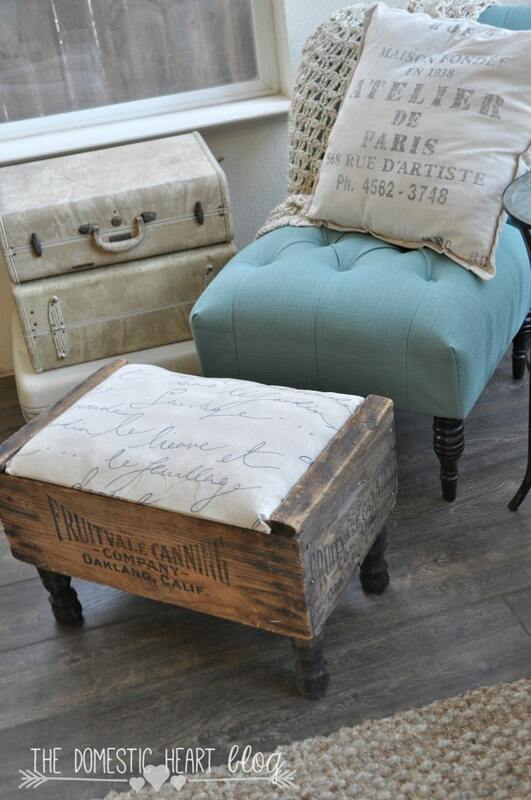 It does seem like a great way to add some vintage stuff to your home. I hadn’t ever realized, like you mentioned and showed, how many different uses wooden crates can have in a home. I’ve heard, too, that having cute decor like this can end up impacting, in a good way, the overall value of your home. 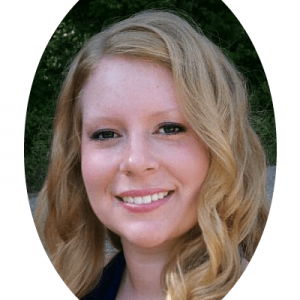 I’ll be sure to keep these great ideas in mind as I look for fun ways to spruce up our home. I am wanting to give my home a little more vintage look to it, and am trying to find the best ideas to help create that. I love how you mentioned that when it comes to using crates that I could transform it into a spice rack for the kitchen. 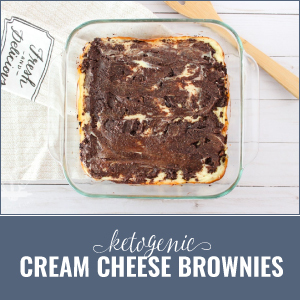 This is such a cute idea and is something that I will have to look into trying.